OK, guys, I know you have the best of intentions to keep your home in tip-top condition. But life gets in the way. Well, there are few priorities for the longevity and value of your home–not to mention your/your family’s safety–that you just can’t ignore! Drainage, drainage, drainage. According to the City of Seattle, the average yearly rainfall draining off the roof of a 1,400 SF house is over 30,000 gallons. That’s an incredible amount of water! 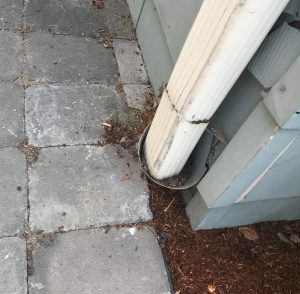 And, from what I’ve seen, 9 out of 10 houses in Seattle have their downspouts (which carry the water from the gutters) depositing directly next to or a few short feet from their foundation–often with the ground sloped TOWARDS the foundation. Over time, this leads to flooding, huge moisture/mold problems, and big problems for the integrity of the foundation. 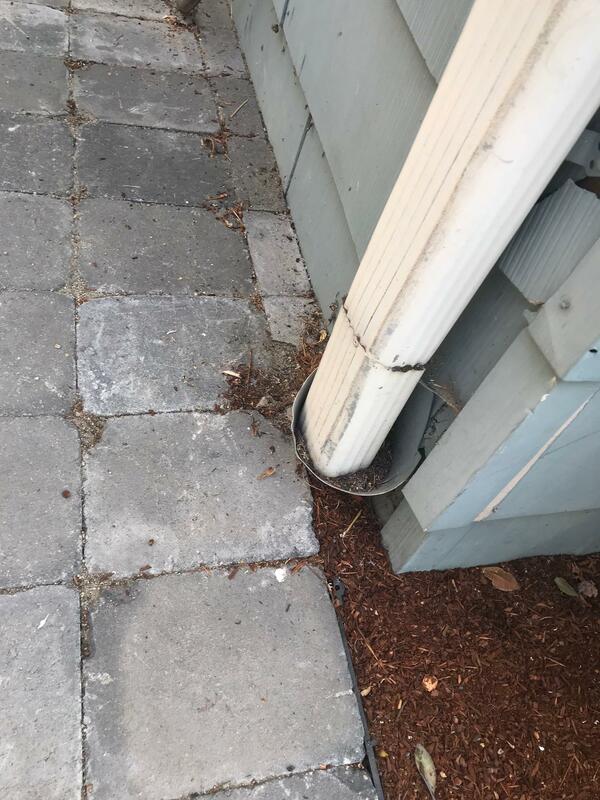 Digging the right kind of perimeter drain and tying the downspouts into it isn’t terribly expensive or complicated–but it IS worth doing right. Take all that drainage schpiel and apply it to your house’s FIRST line of defense: The roof. Then imagine the moss buildup, pine needles, overflowing gutters, and blown-off shingles your average Seattle roof might experience in a winter. Then remember that this is the piece of your house literally keeping you dry. Doesn’t your roof deserve a little extra TLC (done right, might I add–no power-washing here)? Look, I know it’s fun to watch YouTube videos and DIY. But when it comes to your house’s electrical panels, outlets, etc., some of the scariest work Jeffrey and I have seen was done by someone’s “handy uncle.” For the love of god, have a professional clean up your electrical panel, remove dangerous crossed wires, install GFCI outlets in your bathrooms/kitchen, and fix any outstanding hazards. This one is a BIG deal for safety and worth the money. Remember all that rain we mentioned? Well, that’s the reason rats LOVE to find the warm, dry places inside our attics, crawl spaces, etc. And they love to burrow up into the insulation and make a huge, stinky, unhealthy mess. It’s not enough to place traps or replace the insulation, though–you need to bring in a pro or commit to eliminating EVERY potential point of entry (those suckers are wily), removing compromised insulation, setting traps & monitoring, spraying to sanitize, and THEN re-insulating. A lot of folks only complete one or two steps, but I can promise you that you’ll be sad when you’ve done all that work and the rodents return. Yes, more water stuff. A small stream of water dribbling behind your sink, next to your tub, under your toilet…it really doesn’t take much water to, over a period of time, start to rot your walls, cabinets, and floors in spots you can’t see. The solution? Keep the under-sink, tub, toilet, etc. well-caulked with the RIGHT materials. Put a shower curtain on that window in your shower so the ledge doesn’t rot. Use the bathroom fan every time you shower (for longer than you think you need). Pay attention to where the water is going and don’t let a decade pass before you notice that your toilet is about to fall into the dining room.